Raffia and rush are perfect for a summery interior. Add touches to lighten things up in this natural material that matches everything. 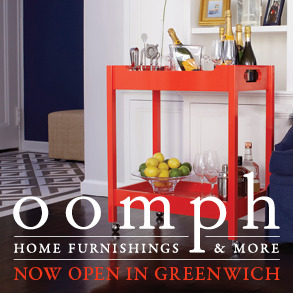 Oomph's Slipper Chair with a raffia body fits in small spaces and adds a touch of texture. Shed a little light with a raffia wrapped lamp from Mainly Baskets. Carry it with the new Raffia Bow Clutch from J.Crew. Set the table with Light Blue Raffia Applique Mats from Pomegranate. Write thank you notes at the Hampstead Raffia Desk from William Sonoma Home. Hang invites on a Magnetic Board covered in raffia from Ballard Designs. Casamidy's Opera side chair in rush has become an instant classic. The metal frame and rush seat in mixed materials keeps things interesting. Categories: "Ballard Design", "Casamidy", "J. Crew", "Oomph", "Pomegranate", "Williams Sonoma Home"